Manage Partners, Affiliates, Buyers, Seller, Set Daily Caps, Pricing, and Delivery Dates. Filter by Demographics, State, Zip Code, or any other qualifiers. Set up your advance routing Ping delivery system in minutes. Connect with your client instantly with our live transfer call feature. All lead campaigns come with detail source level reporting. Set up an instant branded email responder to your leads. Have your own integrated call center with live recordings. 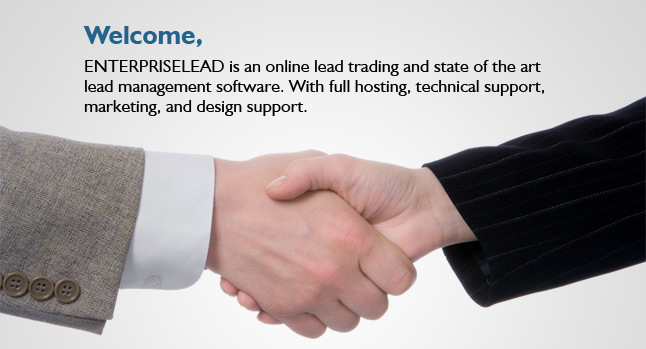 “EnterpriseLead goes over and beyond just standard business practices; you’re a partner with them for life. They have help our company grow into a Corporation;, the best decision I made. "J&M Advertising has been working with Enterprise Lead for over three years now, Enterprise has been an integral factor in the growth and success of our company. I would highly recommend Ed Momani and his team as they are exceptionally knowledgeable and skilled, they also operate their business with honesty and integrity. It is a pleasure to work with Enterprise Lead!"